Advanced Northwest Welding, LLC is an authorized dealer of Hiniker snow plows and salt spreaders. We also install Hiniker plows on your truck or skid steer. We also repair snow plows of all types and brands. Contact Us today for all of your snow plow needs, including sales, installation and repairs. Take a professional approach to snow removal with Hiniker snow plows. 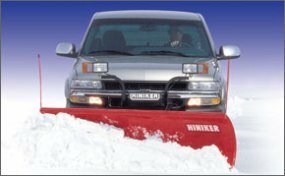 Why Hiniker truck snow plows? 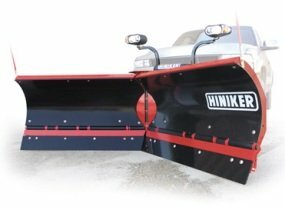 Hiniker plows use box section frames and heavily reinforced moldboards for strength and durability. The 30 inch tall high-curve moldboards move heavy snowfalls quickly. The hydraulic scissors lift reduces transport bounce and bang. The convenient compact joystick controls can be mounted anywhere or held in the palm of your hand. And the Hiniker Quick-Hitch mounting system is one system that truly lives up to its name. 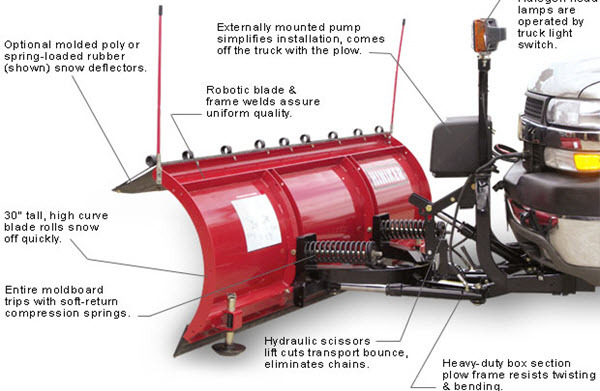 There are a number of snow plow options and features available from Hiniker Company. 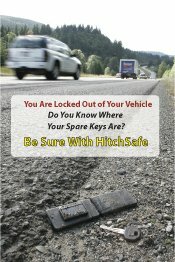 Contact us and we can tell you what model is right for you. 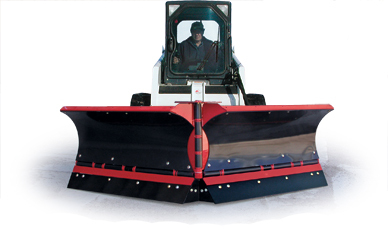 Contact us today to order a standard or V-Plow Hiniker snow plow for your skid steer. 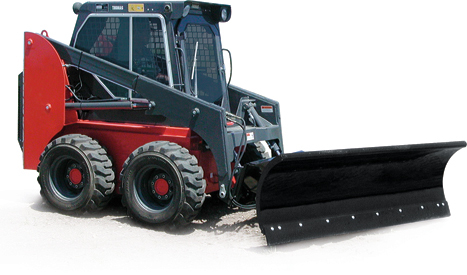 We sell and install snow plow skid steers in Oregon. Hiniker Company's snow and ice control product line includes two salt and sand spreaders. The 6.5-foot model 625 is available in stainless steel, and the 8-foot spreader is available in both stainless steel and carbon steel. Standard hopper capacities are 1.80 cubic yards for the model 815/825 unit and 1.50 cubic yards for model 625. The swing-away spinner chute allows for easier unloading and improved trailer hitch access. The spreader features a Briggs & Stratton Intek OHV air-cooled, single cylinder, four-cycle engine. A convenient in-cab control console operates the electric starter, clutch, and throttle functions. Options include hopper screens, side extensions, tie-down kits, and a high-mount break light. Be ready for winter. 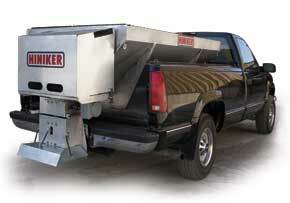 Call Advanced Northwest Welding, LLC today to order your own quality Hiniker salt spreader. If your salt spreader needs repair, regardless of make or model, we can do that also. Remember, we are an authorized dealer and installer of Hiniker truck snow plows, Hiniker skid steer snow plows, and Hiniker salt spreaders for Central Oregon and the Northwest. You can order with confidence from a company you can trust.